Musical theater and performances are so ubiquitous, such a regular part of the Philly arts landscape that they typically play a limited role in the Fringe Fest, which prefers to reach a little further outside the norm. But this year there are a number of shows in both the curated and neighborhood categories that feature music as a central component. Where they fit into the Fringe’s more outré tastes are in their unexpected sources of inspiration. Love songs need not apply — in this bunch, subjects range from cultural criticism to sci-fi mythology to a local museum to the Supreme Court. Toes tapping yet? James Baldwin’s 1955 essay collection “Notes of a Native Son” features the young writer’s keen and insightful views on black life in America, complex explorations of race, class and gender barriers, and acute critiques of African-American intellectual thought at the outset of the Civil Rights era. Despite the cerebral nature of the source material, “Passing Strange” co-creators Stew (aka Mark Stewart) and Heidi Rodewald have crafted a rocking song cycle that sets out to be just as confrontational as Baldwin’s still-relevant writing — only with more guitars. 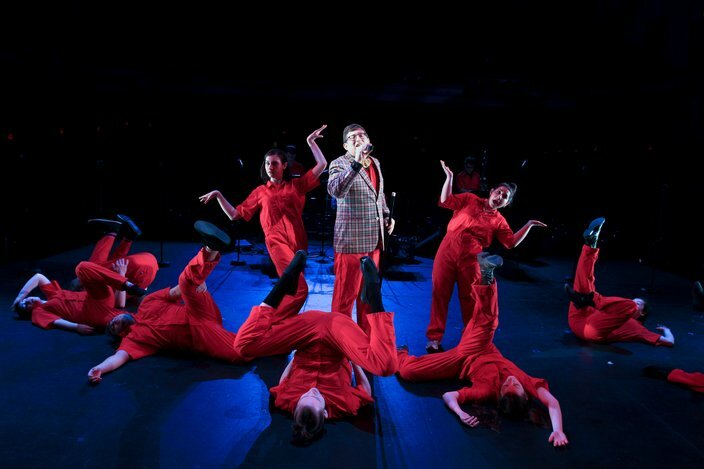 Folk music duo Chickabiddy (theater artists and Fringe regulars Aaron Cromie and Emily Schuman) provide the soundtrack for this acrobatic sci-fi musical adaptation of the Myth of Io. Founded by a pair of Pig Iron School grads, Almanac Dance Circus Theatre somehow manages to set the immortal tale of forbidden love, vengeance, and bovine transmogrification 572 years in the future and on a trapeze. With a folk music song cycle, because what better genre could you choose for an interstellar high-wire show featuring mutant cattle? 'Room 21' takes musical cues from the record collection of Dr. Albert Barnes. The greatest fear in the mighty Barnes battle of a few years back would be that an expanded Parkway home for the idiosyncratic institution would lose Dr. Albert Barnes’ eccentric approach to displaying his diverse collection. 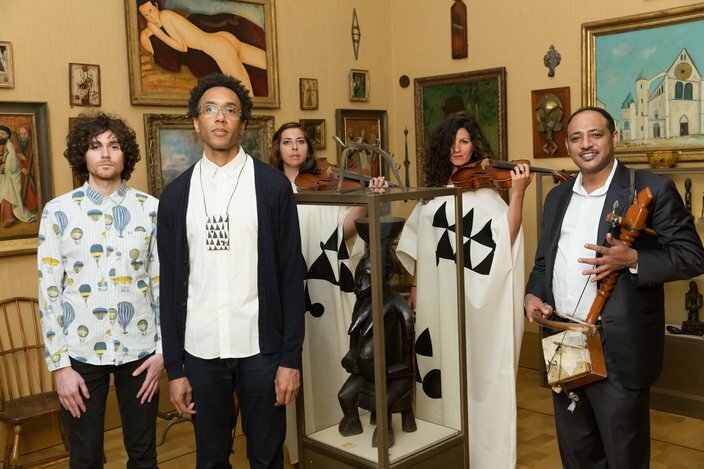 Fortunately, the eclecticism remained intact, and now has inspired composer Jace Clayton, aka DJ /rupture, to create an evening-length musical performance piece inspired by a single room in the Barnes. Turns out the good doctor had equally wide-ranging tastes in music, so Clayton has plunged into Barnes’ record collection, finding a variety of spirituals and classical music that he’s combined with the influence of the Modiglianis, African masks and PA German furniture from room 21. Depression and suicide are hardly the ideal starting points for your average song and dance show, but César Alvarez isn’t exactly interested in making average musicals. 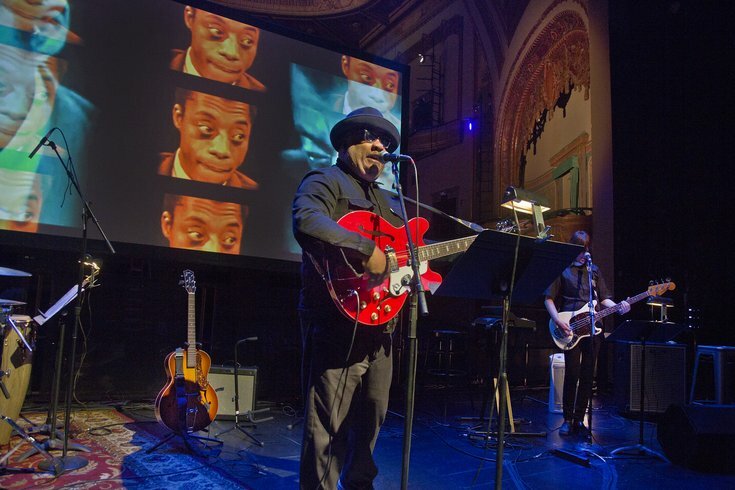 A visiting associate professor of theater at UArts and occasional indie rock guitarist, Alvarez previously warped the familiar contours of musical theater with “Futurity,” a show involving artificial intelligence and the Civil War. “The Elementary Spacetime Show” promises to be similarly heady, audacious and twisted, featuring a young girl whose attempted suicide lands her in a “cosmic vaudeville game show.” Confronted with a mix of ontological mysteries and dance numbers, she has to win in order to lose. Citizens United established once and for all that corporations are people in America, but they still haven’t found a way to have a group of multinationals sing in soul-swelling harmony. That’s the province of Philly’s always stunning new music chamber choir The Crossing, which performs an evening of music by composer Ted Hearne. The centerpiece of the program is the title piece, a cantata setting excerpts from Philadelphia poet Jena Osman’s book “Corporate Relations,” which traces the path of corporate personhood using language from Supreme Court decisions intermingled with extracts from ventriloquism textbooks — which should indicate the work’s political bent, in case that was unclear. If all else fails, appeal to narcissism. For its Fringe show, local voice improvisation and “sound healing” troupe The Soundproof Room are hosting a show that’s strictly BYOI — Bring Your Own Inspiration. Audience members’ autobiographical stories will become the source material for this improvised a cappella performance, which promises to merge the instant-feedback creative process of live improv with new agey meditative healing.